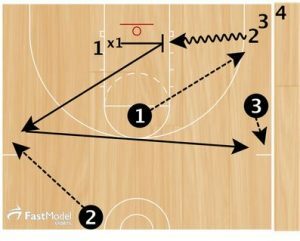 This drill was posted by Coach Trevor Daugherty on Fast Model’s Basketball Coaching Plays and Drill library. X1 then sprints to opposite sideline where he must jump to save ball thrown by Coach. Great tool for us coaches!